We love supporting our creative community and promoting their exceptional talent, in particularly multi-disciplinary artist and Truly Deeply Design Alumni Sahil Silk Roy’s latest artistic venture as co-curator and one of the exhibiting artists in Undercurrent II. 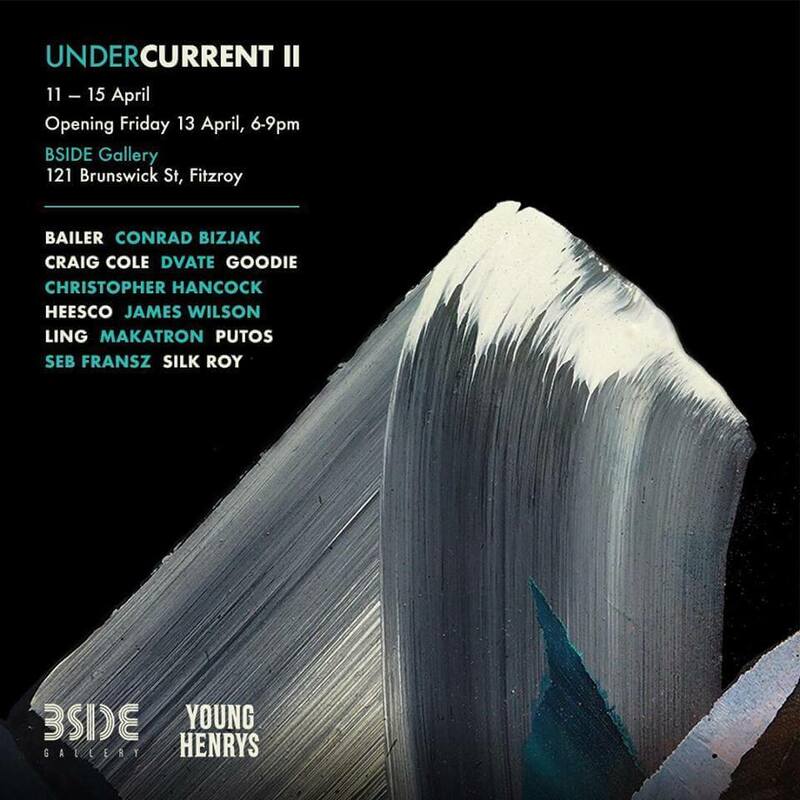 Opening this Friday night at BSIDE Gallery in Fitzroy, the Undercurrent II exhibition will be featuring works by thirteen of Melbourne’s best urban artists with a studio practice and similar backgrounds in street and graffiti art. 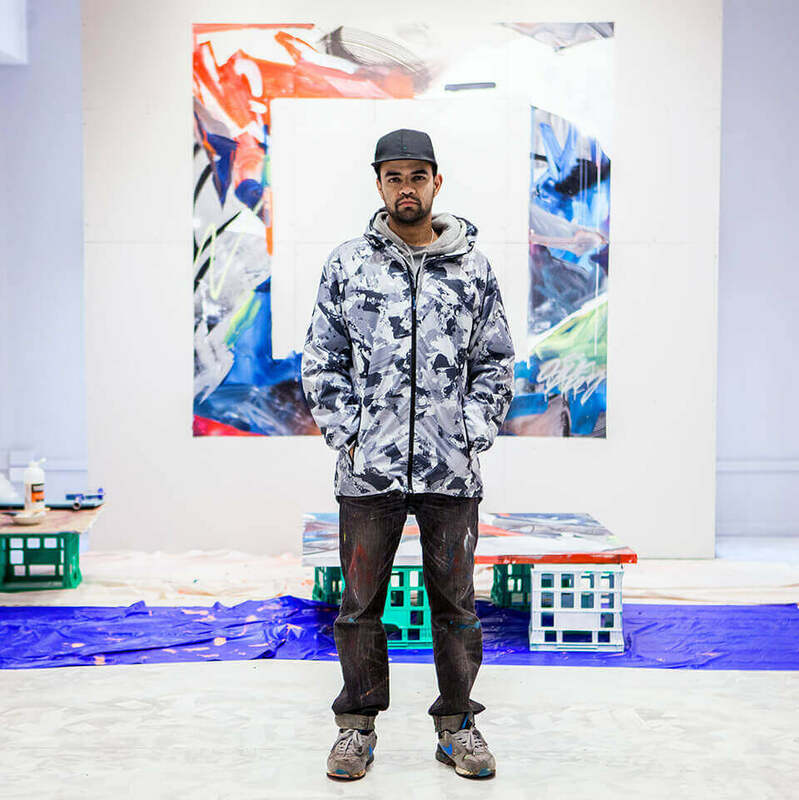 Silk Roy’s confidence as an artist, has grown exponentially after his first solo show ‘Surface Tension’ last year. The boys got talent and experience, having painted hundreds of walls locally and in NYC, LA and New Mexico and showing in multiple group shows locally and nationally over the past ten years. Silk Roy also supports our annual charity art exhibition Art with Heart contributing his work and connecting us with his artists community so we think it’s only fitting we support him and his crew and promote the fabulous work they are contributing to the creative landscape of our wonderful city. “This is not a visually cohesive show – it is not about the finished artworks. Instead, it is about the creative process behind each of the works, it is about the studio practice of each artists, the solitary act of painting a canvas, and the thoughts and attitudes that form the conceptual link between each works. It is about establishing and defining a particular aesthetic, our ‘outsider’ approach to painting and art-making, independent from the popular paradigms. Paintings are a product of a long process of problem-solving and decision-making. It is a visual language between the artist and the viewer, its vocabulary can vary from the simplest to the utmost complex, and the longer you keep up the conversation, the richer and more meaningful it becomes. Often minute and nuanced details emerge to take up important roles to shift and influence the very meaning behind the work itself. However, it is up to the participants, the artist and the viewers, to choose what level they wish to engage in. And to me, it is quite important to initiate such discourses which allow us to discover each other, share our ideas, knowledge and experiences. Opening night is this Friday the 13 April from 6-9pm, BSIDE Gallery, 121 Brunswick St, Fitzroy Vic 3065 and if you can’t make it to the opening the exhibition runs from Wednesday 11th – Sunday 15th April. We hope to see y’all there. Apple Brand Rotten at the Core? More than just a clock this icon is a part of Melbourne’s history.